A Study of Two Conflicts. This unit will study two events that happened involving First Nations in Canada and Native Americans in the United States. 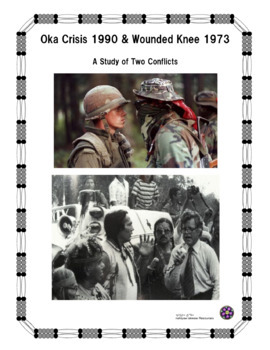 They were The Oka Crisis 1970 and Wounded Knee 1973. These two events were very similar and yet different. 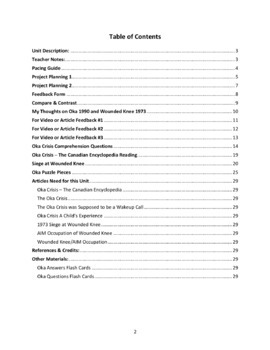 Exploring this unit with uncover what the similarities and differences between both events and students will learn about First Nation history.